Earrings are one of the most commonly worn jewelry accessories. Whether creating something special for a friend, showing off some favorite beads or charms, or just because...earrings are a quick and easy accessory to make. There are infinite variations of hook style earrings! 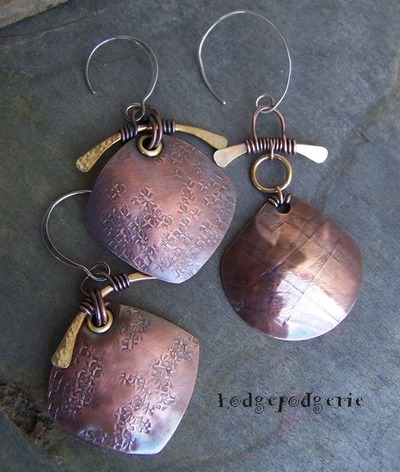 Make a simple hook, add a dangle and you’ve got yourself a pair of earrings! 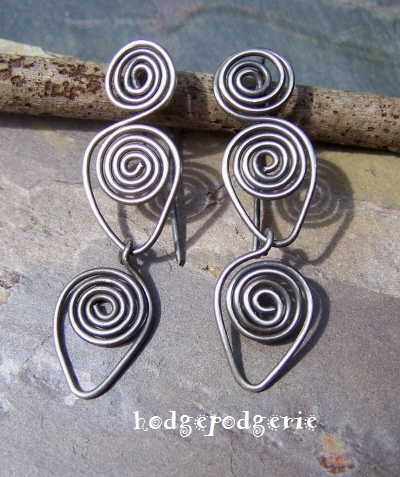 In this fast-paced workshop you’ll create a few styles of earrings including hoops, Tribal swirls and some fun variations. You’ll work with metal discs, rivets and wire and learn cool easy textures and finishes. It is recommended that students have basic jewelry making skills such as those taught in Basic Wire Jewelry Techniques I. Experience with jewelry hand tools is helpful. However, all skill levels are welcome. 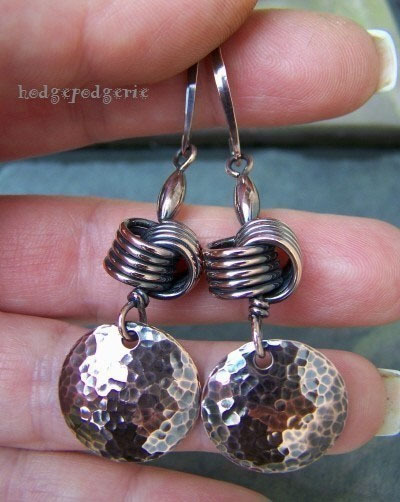 Return from "Earrings - Cold Connect" page to "Wire & Metal Jewelry Classes" page.